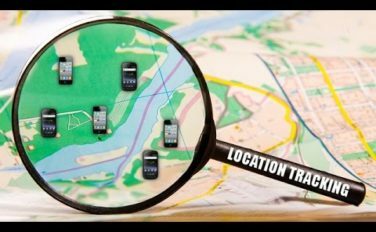 Do you know how closely and how often your movements are being tracked by your phone company, and how much your data is worth? Every seven second, your smart phone sends your phone company information about your location. The phone company sells that data to marketers, often without your informed consent or knowledge. YOU DONT HAVE TO SAY A WORD! AT&T provides “location information” to Sense Networks, which uses it for “CitySense” and advertising system that allows local nightspots to target customers based on their cellphone usage. Clear Channel Outdoor Americas uses mobile phone location data to learn more about who is passing its billboards and whether they purchase the advertised products. “Visual touch heatmaps track the users’ gestures – taps, swipes, pinches—in order to better analyze their behavior and further target them. A Connecticut data broker called “Statlistics” advertises lists of gay and lesbian adults and “Response Solutions” — people suffering from bipolar disorder. “Aggregators” buy the data and in turn sell it to marketers for everything from Pepto-Bismol to pasta. Every seven seconds, more details about you are collected for sale to the highest bidder in the ballooning data collection industry, projected to grow to $79 billion by 2020. Traditional retailers buy information on customers’ movements through their stores; who they interact with, what they touch, even when they go to the bathroom, through Wi-Fi enabled cell phones. Websites, social media companies, and cell phone applications, all of which use targeted advertising, are hungry for this data, and willing to pay for it. The value of being able to report on consumers’ age, geographical location, and purchasing habits to marketers and retailers cannot be overstated. The more data points, the more value. Where and when do you shop? How much do you spend on paint? Potatoes? Consumers’ privacy is supposed to be protected, but experts say this “anonymized” data can easily be re-identified and that the sensitive personal information contained can be traced back to the individual. “Many customers don’t realize they are being tracked, and certainly aren’t being given a choice,” said TURN executive director Mark Toney. Current phone privacy rules were drafted before phones tracked location, bill payments and other personal information. But many rules governing phone privacy in California are inadequate to protect modern consumers’ constitutional right to privacy, and privacy rules that apply to traditional residential landlines do not all apply to cell phones. In fact, in a study by the Pew foundation, smartphone owners were twice as likely as other cell owners to report their phone being accessed in a way that made them feel like their privacy had been invaded. The situation is especially alarming for children who increasingly have cell phones. Information about children that is for sale to the highest bidder—without disclosure to their parents—includes geolocation, telephone numbers and device identification. SHOULDN’T YOU HAVE A CHOICE? Many customers don’t realize they are being tracked, and certainly aren’t being given a choice. TURN is demanding Choice: Customers should have a meaningful chance to OPT IN with informed, affirmative consent not just to the tracking of phone location data but also to its sale. Don’t you want a choice? Join our email list for updates on campaigns for privacy protections and other important consumer rights.